This week I’ve been busy making a house warming present for my brother and his wife. They actually moved into their new house 2 months ago but today was the 1st time we were invited to visit them. I decided to make them a crochet heart bunting (this was their 3rd house move in 3 years) so I thought they’d probably had enough traditional house warming gifts. I looked online for some inspiration and found some on Bella Dia. Her crochet hearts are so cute so I thought I’d give them a go. 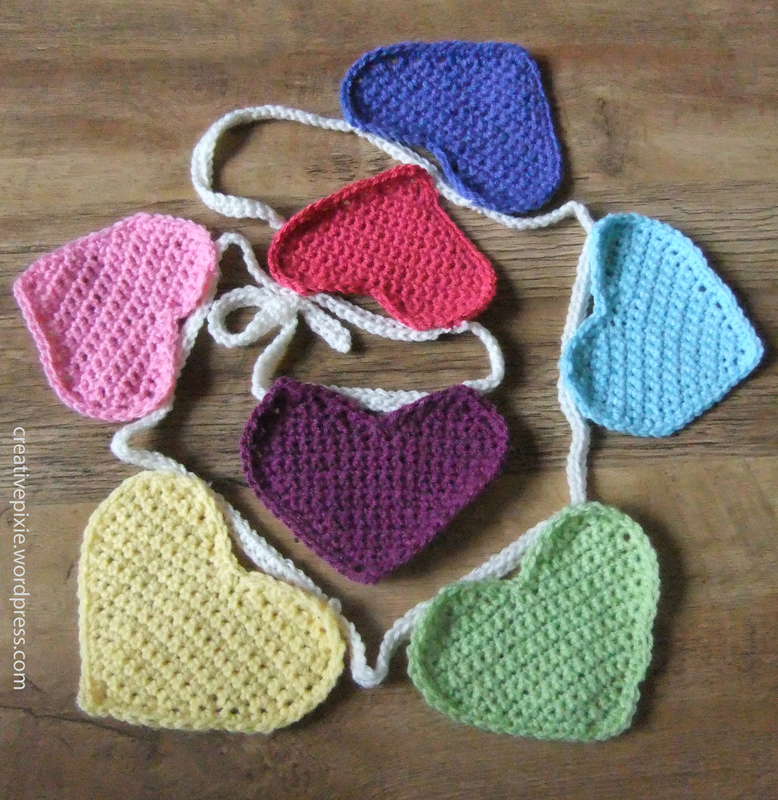 After making 1 heart I could estimate how many I needed to make to go on a crochet chain to be strung up. I thought I’d use a rainbow effect of wool colours so that it would suit any rooms colour scheme. Once I completed 7 hearts I made a crochet chain about 1.5m long then did dc stitches into it to give it bit more strength. Et voilà. The finished heart bunting stung up across my fireplace. My daughter loves it and she’s requested I make up one for her bedroom. I gave my sister-in-law the finished bunting this morning so I hope she really likes it. The rest of my family were also invited to my brothers home and all the children took part in an Easter Egg hunt. The children had such a great time looking in the hedges and long grass for their Easter eggs. Poppy had to hunt for 4 yellow eggs and Elsie had 2 bags of Milky Bar buttons to look for. After the hunt there was an Easter picnic complete with Hot Cross buns and an Easter Bunny cake. The children all sat on a picnic rug, unwrapped and munched on the spoils of the hunt (needless to say they were covered with chocolate). Once hyper on chocolate the children all went mad running round the garden until it was time for us to go home. The journey back in the car was very quiet apart from the snoring of 2 tired girls in the back seats. 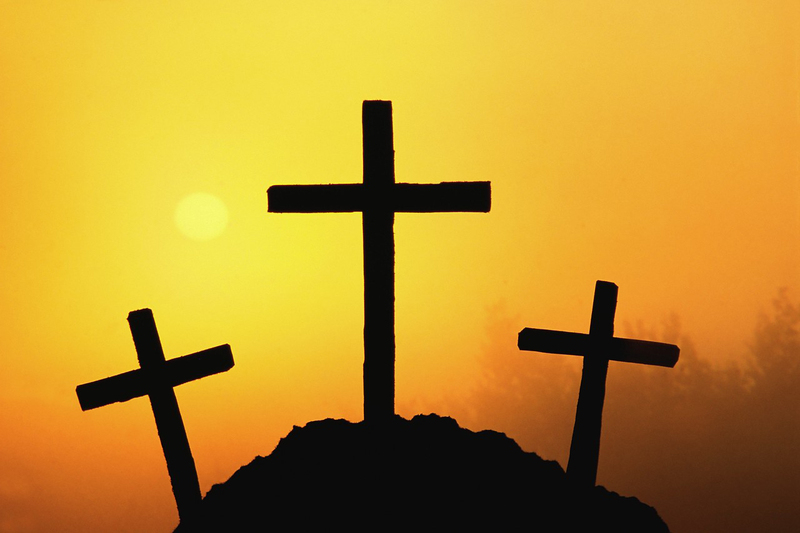 It’s very easy to be caught up in the commercial side of Easter and forget what it’s really all about. The shops are full of Easter eggs, cards, decorations and I can see that already Easter seems to be very different to when I was a girl growing up. If I had to pick just 1 verse, the following one (in my opinion) summarises what we celebrate at Easter. 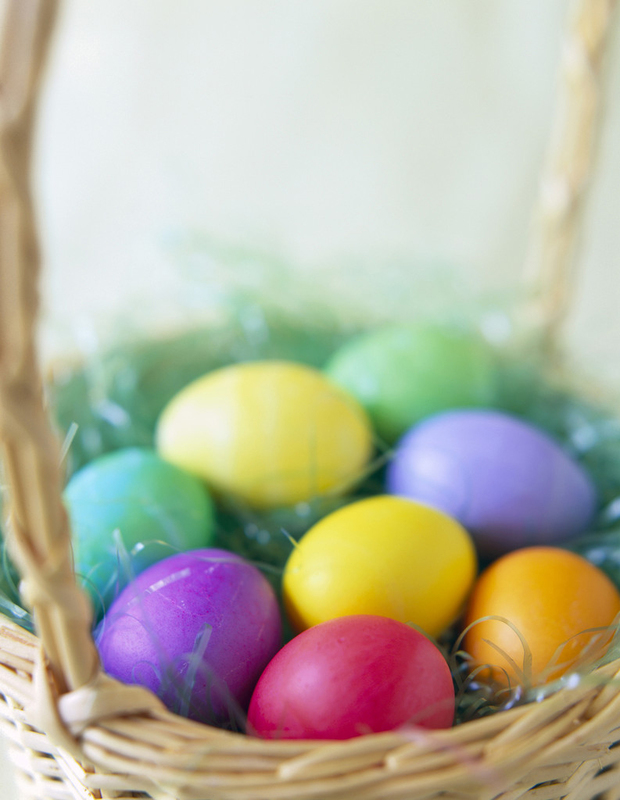 I hope you all have a very happy Easter with your family and friends. The crochet squares are back! Lovely hearts, lovely message. Happy Easter! Love that verse Jean. Very powerful. Past few years Easter has become extremely commercial. It is important to set this aside and thank Jesus for his free gift of salvation. And it’s so liberating to know that there is nothing we can do to earn this-it’s all through amazing grace! Have not picked up my crochet since mothers day. Been too busy with the kids club this week. But looking forward to getting stuck back in this week, if my fingers remember what to do! Look for me in the morning-need to see you! Happy Easter to you and yours. The bunting is lovely. 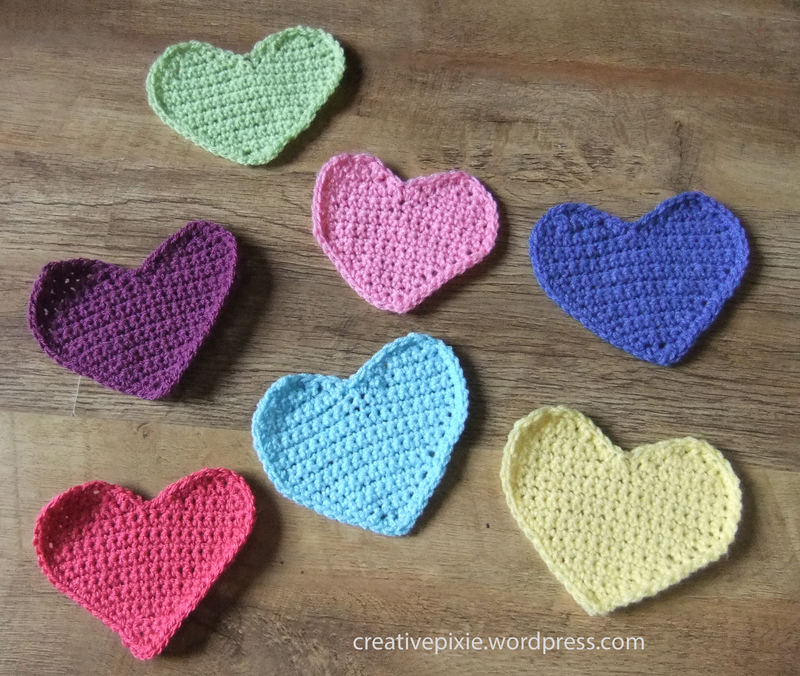 I still have not crocheted a heart! Great blog post, i love it! What gorgeous bunting. Have to try the hearts out for myself one day. Thanks. I should make another one.